Looking for the perfect way to lighten up your dessert menu? Diana's Bananas is the perfect way to do this and it's a great alternative to ice cream. The smooth creamy banana is enrobed in either silky milk chocolate or decadent dark chocolate. The ones covered in nuts provides a nice texture alternative to those that like it crunchy. 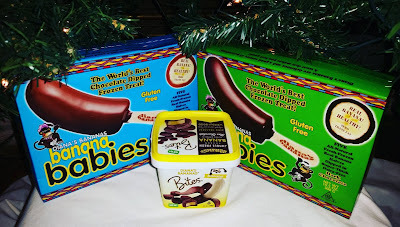 They would make a great addition to many holiday party and both children and adults love them. To find a retailer near you today click HERE. Diana's Bananas is currently available in 4 differnt varities. Take A Bite! Everything that goes into making our delectable treats is top-of-the-line, just amazing. 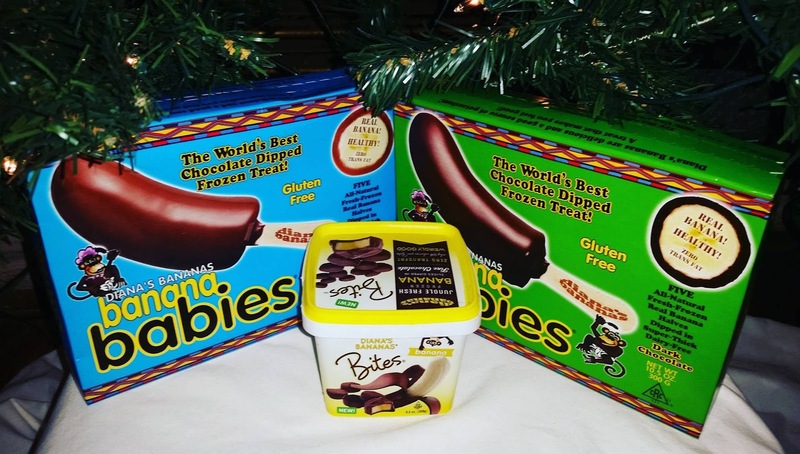 Real, frozen fruit slices paired with a mix of premium dark and milk chocolate create delicious treats that will take your taste buds to the tropics. The original. It’s “Weirdly Good” It’s the one that started it all—the world’s creamiest, most flavorful banana enrobed in mind-blowingly delicious milk chocolate. One bite and you’ll realize: weird is good. Four Weight Watchers points never tasted so good. It’s getting dark in here: And that’s a good thing, because we’re talking about our decadently flavorful dark chocolate. Once you’ve experienced our frozen banana encased in rich dark chocolate, you’ll realize—you’ve just seen the light. Find out how four little Weight Watchers points can pack such a big taste. Going bananas? Go nuts, too! Our creamy frozen bananas emerge from a dunk in our luxurious milk chocolate bath before being lovingly hand-rolled in a bed of freshly roasted Spanish peanuts. Is your mouth watering yet? We thought so.